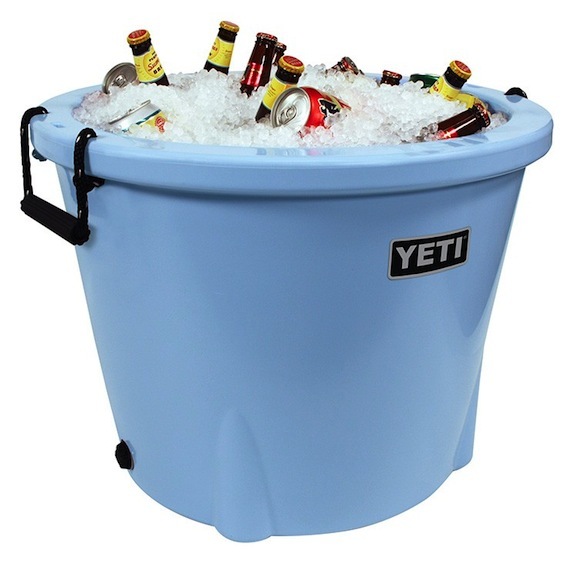 Over the years, we’ve seen some pretty interesting attempts at keeping kegs cold at tailgates. Most of the time, those attempts ended with a wet trashcan, huge puddles, and beer that was only semi-cold for most of the festivities. Well, thanks to the team at Yeti, there is now a solution for this age old problem. Take a look at the latest addition to their lineup, the Tank 85. 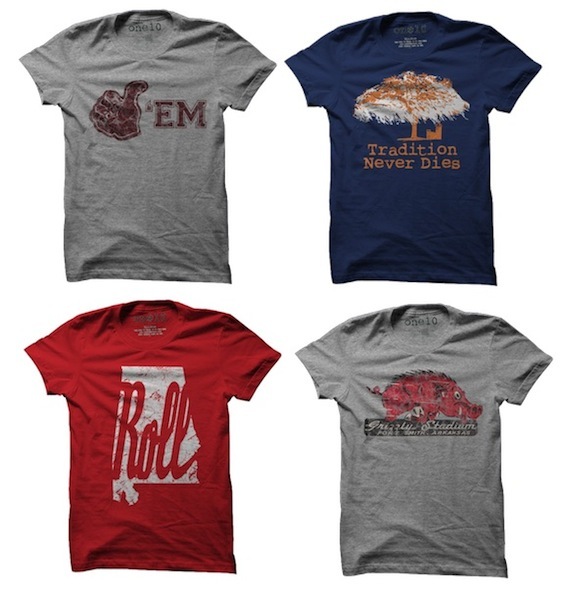 Though some may scoff at the idea of dressing up for a football game, those of us who have spent some time on campuses down South know that there is something special about putting on your Saturday best to cheer on your favorite team. Shoot, even though we aren’t going to be on campus tomorrow, we’ll still be wearing our favorite gameday apparel to celebrate the arrival of our favorite season. 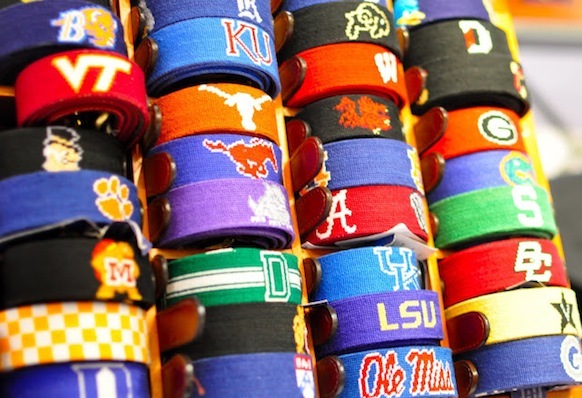 This week, our Bowtie Friday pick is an entire collection, one that has a tie for just about every college football fan we know. It’s the Southern Stripes collection from Brier & Moss. Today may as well be a holiday for us. Even though our favorite teams don’t kick off their seasons until Saturday, we’ll be locked in front of the tv this evening watching every play like it’s the National Championship. For a night like tonight, the go to hell pants and stiff drinks are staying put away. Tonight’s a jeans, t-shirt, and cold beer type of night, and the t-shirt of choice will probably come from the college collection of a brand our friends down at Country Club Prep introduced us to, One 10 Threads. For the most part, we were anti-visor up until a few years ago. There were just too many people turning them around, or hanging them from rear view mirrors never to be worn, for us to join the party. Well, with the influx of tour inspired visors hitting the market over the last few years, we’ve slowly worked them into our rotation on the golf course and for the occasional warm weather tailgate. 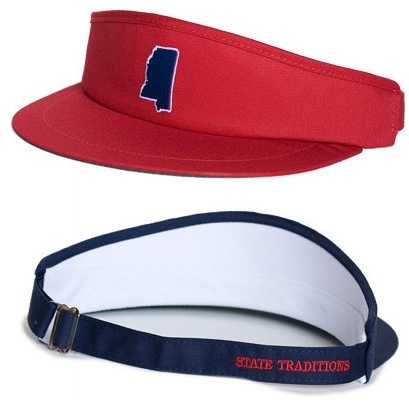 For either activiy, you really can’t go wrong with a Gameday Golf Visor from State Traditions. Over the years, we’ve been fortunate enough to team up with some absolutely fantastic brands for giveaways, and one that has always been extremely generous is Smathers & Branson. From key fobs, to belts, to hats, we’ve given away just about everything in their lineup that a guy could want. Our first S&B giveaway was a collegiate needlepoint belt, and now, nearly two years later, we’re happy to announce we’re giving another one away. With games kicking off in a mere three days, college football fever is approaching dangerous levels here at Bowties & Boatshoes. In fact, there’s a good chance we’ll be breaking out our team colors all week long in anticipation of the upcoming action. Of course there are a ton of companies out there selling collegiate gear, but when it comes to low key ways to show our allegiance Peter Millar is tough to beat. 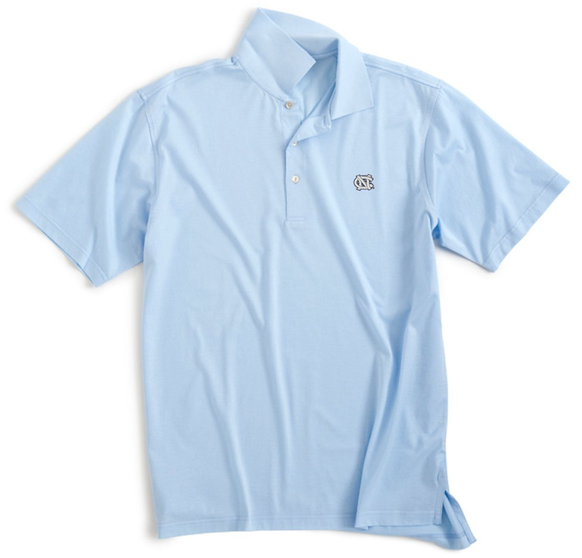 Today’s pick is their Collegiate Cotton Lisle Polo. This weekend, we’re headed off shore with a few of the guys from the office. While the mornings will be extremely early, we hear that the fish are really running, and we’re looking forward to the adventure. Of course, a great pair of sunglasses is a necessity for the trip, and luckily for us our friends at Costa just sent us a pair of their Cat Cay frames. To say we are looking forward to putting them through the paces over the next 48 hours would be an understatement. With Fall slowly creeping up, all of our favorite brands are releasing their latest collections. 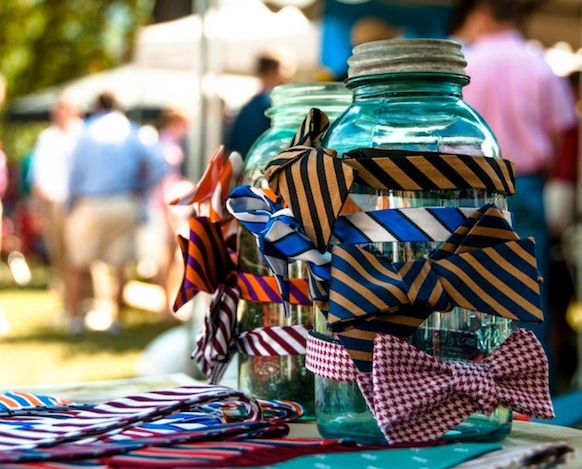 There are some great new pieces out there, and when it comes to bowties you can always count on Southern Proper for some solid options season after season. 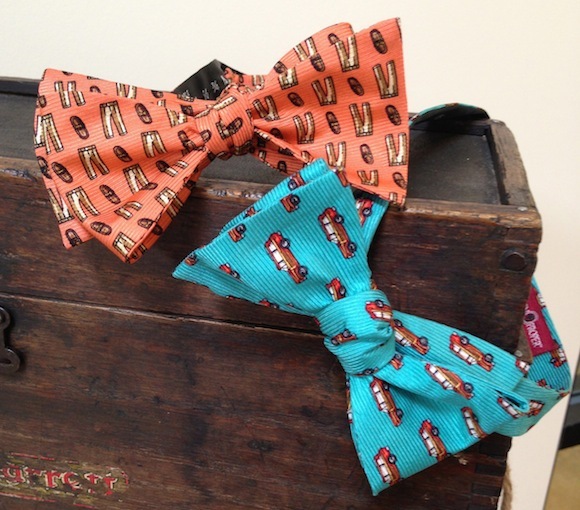 This year, two of their Fall bows that really jumped out at us, the Wagoneer and Cuffs & Skuffs. To celebrate Bowtie Friday this week, we’re happy to announce that one lucky winner will be winning their choice of the bows pictured above. 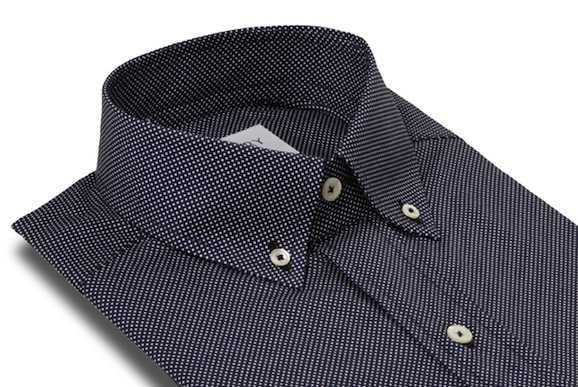 We feel like we say this every month, but once again Ledbury has knocked the ball out of the park with their latest Short Run Shirting collection. The August lineup is made up of a group of shirts that could all easily find their way into our rotation, but one really jumped off the screen at us the first time we saw it. It’s their Manning Dot Slim Fit. Over the years, we’ve been in our fair share of weddings. Some were low key, others were over the top, and each and every time we’ve gotten a fantastic groomsmen gift from the man of honor. That being said, we’ve also heard from a number of our friends that they weren’t so lucky. While gifts are never to be expected, if you are going to give your boys something when it is your turn to tie the knot, we’d highly suggest making it something great instead of something that seems like a last second decision. Below you’ll find five of our favorite groomsmen gifts that are available from our friends at Sir Jack’s. In fact, these are all things we’d love to receive as a gift anytime. If you feel the same way, keep reading because one lucky Bowties & Boatshoes reader is going to win their favorite thing from our list.